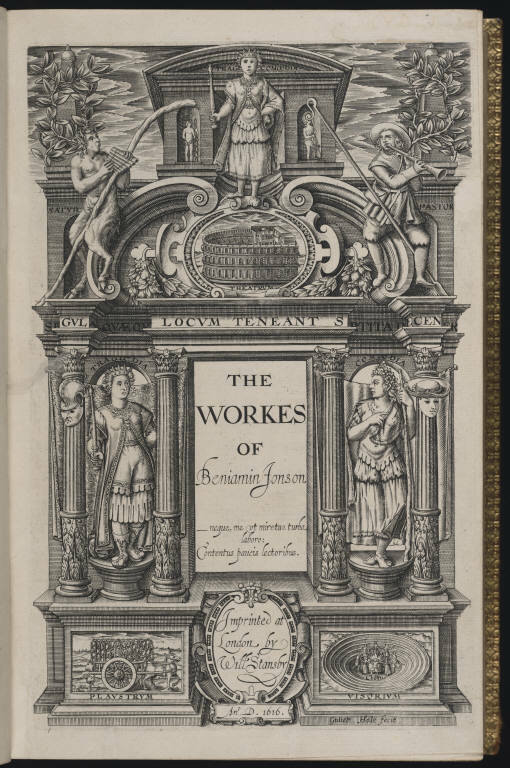 This Folio of the Workes of Ben Jonson preceded the First Folio of Shakespeare’s Works by seven years, and in many ways, it was the more revolutionary of the two publications. Before the folio of Jonson’s Workes were published, folios—the largest, most expensive, and by consequence the most prestigious of book forms—had been typically reserved for more culturally elevated genres like epic poetry or prose romance. The stage, by contrast, had no comparable cachet. Its audiences were mixed, at times rowdy and inattentive, and its ambitions, when contrasted with the high purpose of epic, could seem comparatively low. Jonson did what he could to change this. 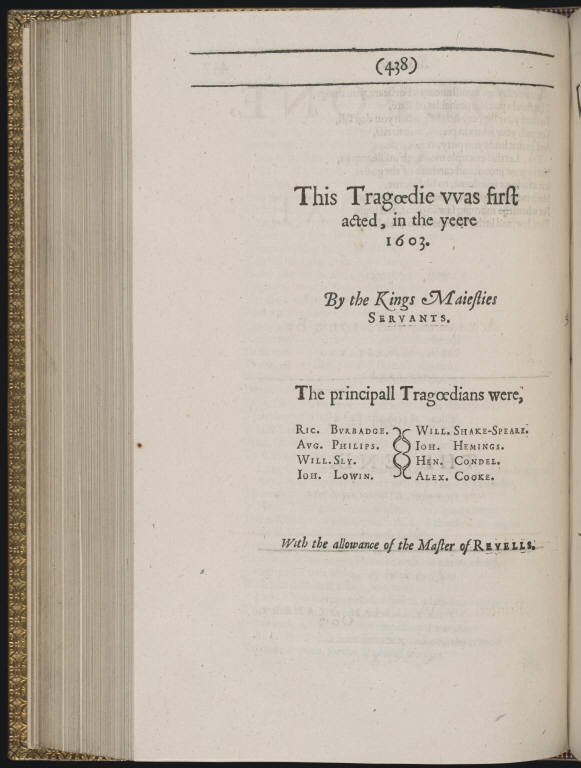 The publication of his dramatic works, in folio format, was one means to this end, suggesting as it did that Jonson’s dramatic works were equal in prestige to other works that had enjoyed folio editions. The frontispiece works to similar effect. 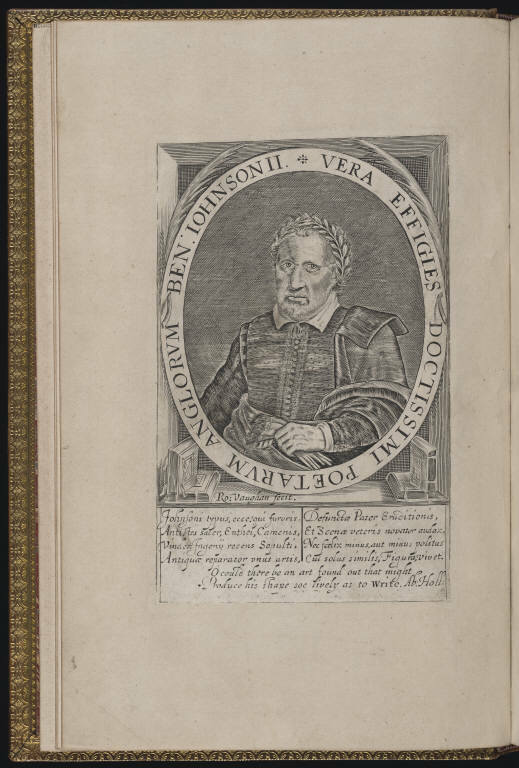 The Roman architecture upholding Jonson’s oeuvre recalls the frontispieces of other prestigious non-dramatic literary works, and it confers upon the author the authority of a classic, comparable to Philip Sidney or, more distantly, Horace or Martial. 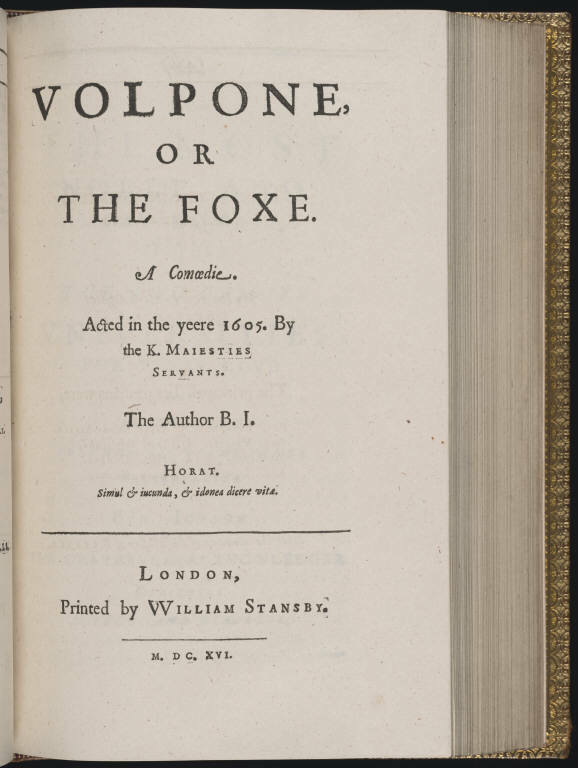 To make the point clearer, the inscription at the center of the frontispiece is a quotation of Horace, which translates, roughly, “I do not expend my efforts so that the multitude will wonder at me: I am contented with a few readers.” To those few readers who could spend the money for such a book, drama was no longer just for the masses; it was the privilege of a cultivated few. Shakespeare may not have needed Jonson to write his plays, but to us—the readers and viewers, performers and enthusiasts of his plays—a different story applies. If Shakespeare today is “not for an age, but for all time,” a monument to all the prestige and autonomous excellence English literature can hope to achieve, it took the work of many to make him that way. For the world’s greatest dramatist to be born, drama had to be claimed, first, as a genre in which it was possible to be great. For that, as for so much else, we can thank Ben Jonson.